Teka Molino's Puffy Tacos: ¡Viva Tex-Mex! Teka Molino’s Puffy Tacos: ¡Viva Tex-Mex! I love Tex-Mex. I know it is no longer in vogue to have a deep admiration for the genre, however my love has been unwavering since I was a little kid. That’s why coming to San Antonio five and a half years ago was like a pilgrim reaching his final destination. However, like most people, I tend to stick within my five-mile bubble. When I do venture out, I often go to restaurants that have become my standards. Most people share my struggle: it is hard going to a new spot when you have your tried and true. But this is a little shortsighted. 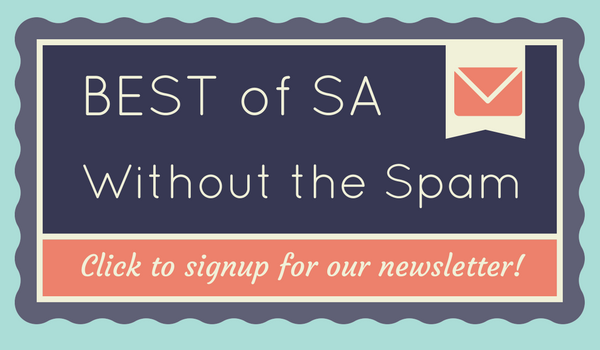 San Antonio is a huge city with tons of hole-in-the-wall restaurants serving up mean grub. It’s been my goal try new things, especially when it comes to Tex-Mex, and I have been rewarded with some great meals, like Ray’s Drive Inn. I decided to venture out of my comfort zone again and test out one of the city’s older restaurants, Teka Molino. ¡Viva Tex-Mex! at Teka Molino. There are two locations, but I went to the one off of San Pedro, just inside the loop. While the building is somewhat unassuming, there is an eye-catching sign with a bright blue arrow at the top along with “¡Viva Tex|Mex!” on the bottom. Being a sucker for restaurant signs with arrows (like Ruthie’s over on West Avenue), I became excited as I turned into the parking lot. The same friend who had puffy tacos with me at Ray’s Drive Inn was along for this meal as well. 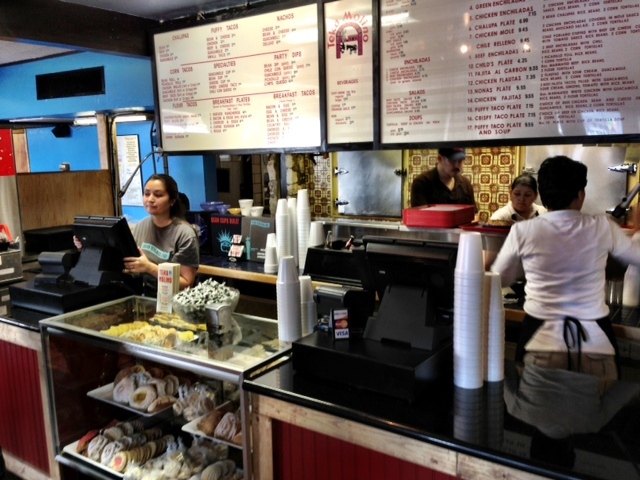 We walked in the door and found a smallish restaurant with an old school Mexican diner feel. You ordered at the register with a menu directly overhead; adjacent to placing your order was a case full of Mexican pastries and sweets. The Mexican pastries by the cashier at Teka Molino look amazing – try to leave room at the end of your meal to try one. Being that I have been on a puffy taco kick, I decided to give them a try and got the plate that came with rice, beans, two puffy tacos and tortillas. You should note that the menu explicitly states, “corn tortillas,” so I decided to go with the flow and not be that gringo who asked to substitute out the corn for flour tortillas. After ordering, you walk over to the right of the counter and scoop up some chips and pour hot sauce (both red and green) to take to your table. Both salsas were impressive, with the red having a slow burn to it. Our number was soon called and we had a plate that was filled with food. The folks at Teka Molino take the “puffy” part of puffy taco quite seriously: both tortillas looked as though someone had attached an air pump and blew them up like a basketball. If there were an award for the “puffiest puffy taco,” I would vote to give it to Teka Molino. The Puffy Tacos at Teka Molino. These puffy tacos were very different from those I had at Ray’s a few weeks prior. First, the tortilla was not very dense. It was thin and the texture was more in lines of that of a crunchy taco than that of the chewy masa of something like a sope. However, it wasn’t hard like crispy taco shell, but rather really crisp. While the puffy tacos at Teka Molino were able to survive the 30-second-time-limit-to-disintegrating-in-your-hand (which is always impressive to me) there was no hope in getting through the second taco before it busted open. But hey, that is how it goes when eating puffy tacos. The corn tortillas we very thin and malleable without breaking. 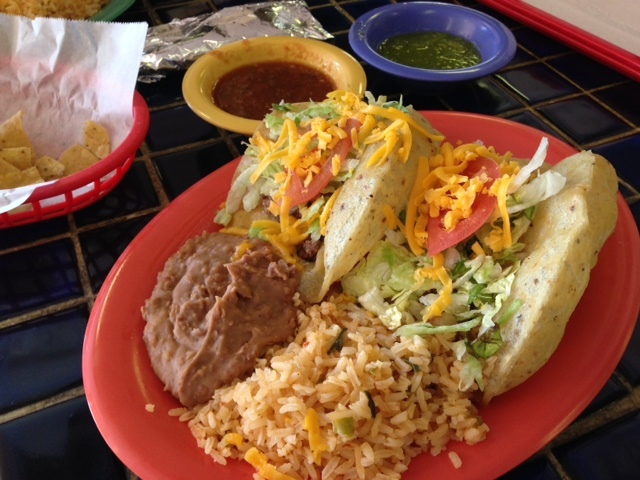 Using the rice and beans (both of which were fantastic), you could make a couple of tacos to finish the meal. The only drawback? By doing so you are too full to eat one of their good looking pastries. But don’t take my word for it – after all I’m just an Average Joe. While we were eating at the restaurant, I was surprised to see the greatest power forward of all-time come in and sit at the table behind us. Being a Tim Duncan fan since he was a player at Wake Forest, it was surreal having the famous Spur chowing down on some of the Tex-Mex at Teka Molino. While I wanted to go over and say something (I’m sure there were others who had the same thought), it was cool to see that no one in the restaurant bothered him (although I would have liked to have found out what he ordered). 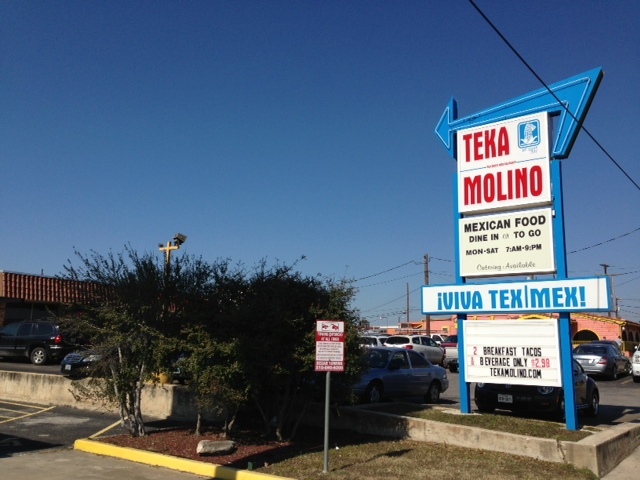 Needless to say, Teka Molino serves up a brand of Tex-Mex that both Average Joes and superstars enjoy.